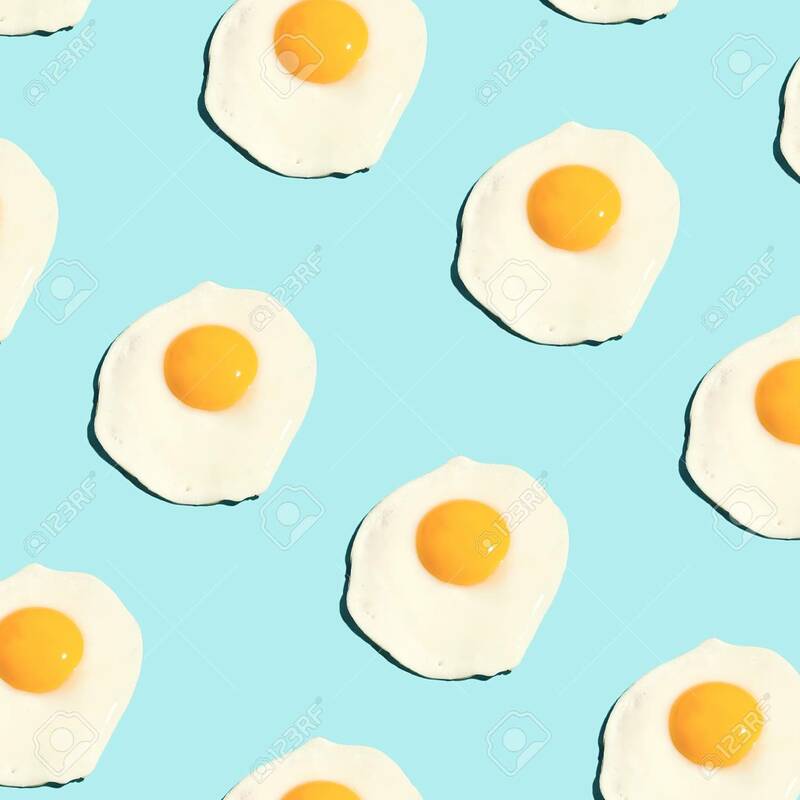 Fried Eggs, Scrambled Eggs On Blue Background In Food Pattern. View From Above. Food Fashion Minimalistic Concept. Square. Lizenzfreie Fotos, Bilder Und Stock Fotografie. Image 114631586. Standard-Bild - Fried eggs, scrambled eggs on blue background in food pattern. View from above. Food fashion minimalistic concept. Square. Fried eggs, scrambled eggs on blue background in food pattern. View from above. Food fashion minimalistic concept. Square.